First measure your rice, and pour into a sieve, then wash under cold water, put aside. Measure the amount of liquid you will be using and put aside. Cut the onion into long slices as well as the red/green pepper and have the garlic ready. Place a pot on the stove on medium high heat, and pour the oil, warm it up a bit, and then throw the peppers, onion and garlic in. Mix it up and cook for about 1-2 minutes. Pour the washed rice into the pot and cook the rice moving it around the pot. At this time I season the rice with salt and pepper. Then pour the water. Move the rice a bit and then, taste the water to make sure its season well, at this point you can add more salt and pepper if you want. Stir it up one more time and let it come to a full boil and bubble, about 3-5 minutes. As soon as it reaches a full boil, immediately turn the heat down to the point where it is just at a low simmer, the lowest setting on your stove. Cover as soon as you get it to the right heat for a simmer. Set your timer for 20 minutes and walk away. DO NOT OPEN it even to peek until the 20 minutes are up. This is of paramount importance if you want to end up with a successful pot of rice. I am not kidding. Not even a slight tilt of the lid! Leave it alone! Once the time is up, remove the lid and your rice should not have any moisture left. Fluff the rice with a fork, but don’t crush it, just fold it over a few times. Place the lid back on the pot, turn the heat off, and let the rice just sit there for 10 minutes. If you are using an electric stove, switch the pot to a different burner. Once the 10 minutes are up, you are ready to serve with your favorite food. For some of us, making good rice is such an intimidating mystery that an entire industry thrives on selling crappy instant rice products! 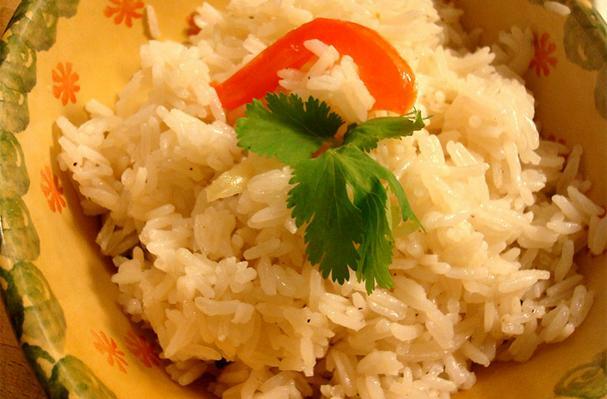 But, let me give you a HUGE TIP here, homemade rice is extremely easy once you get the hang of it, plus is a valuable skill that you’ll use many times over a lifetime of eating. First lets start with the most basic question: What type of rice? There are dozens types of rice, with very different flavors and applications. Most people will be familiar with at least one or two varieties. White and brown. There are many sub-types within brown and white, not to mention the wild and other specialty types. My preferences (when cooking for a savory dish) run towards Basmati or Jasmine rice. Basmati is a long grain rice with delicate flavor and a nice medium density bite. It is excellent for most Asian dishes, as well as rice pudding and fried rice. Jasmine, has a distinct sweetness to it and falls somewhere between “No wonder it is the staple food for most of the world”. In the Latin cuisines most cook use parboiled rice. Now a day, most people have a rice cooker which is fine for making large batches, but since there is only 2 month to feed in my house, I usually do the tried and true pot on the stove method. The art of cooking rice and having it come out all nice and fluffy is to understand the proportions of the two main ingredients, the rice and the liquid (water, broth, etc). The rations range from 1 part rice to 1.5 parts water to as much as 1 part rice to 2 parts water. I usually use the 1 part to 1.5 parts water. I have found that this makes the rice perfect. After you cook it a few times you’ll have your own ideas about how much water to use. In following recipe I use 1 cup of rice, which feeds up to 2 people to eat along side something else. Even if I’m cooking rice for myself, I still make the 1 cup ratio, mainly because I then use the left over to make fried rice next day. In terms of serving sizes, figure on about 1/2 cup of rice per person eating. And adjust quantities of water accordingly.